A salesperson’s schedule is very hectic, we all know that, but no matter what by the end of the month we have to hit our targets. Only closing counts, which means that all your efforts are worthwhile only if you managed to score a deal. But what if it takes too long and if your pipeline is full of leads that you need to qualify and nurture, and you’ve got only a limited amount of time for everything? Is there a way to push things and speed up your sales cycle? Luckily, yes. There are tactics that will allow you identify and focus on the leads which are near closing. Automation is your indispensable ally and it can help you a great deal with all this, right? That’s right, but if you want to make the most of it, you should analyze every stage of your pipeline, automate everything you can, but make sure that everything is personalized. 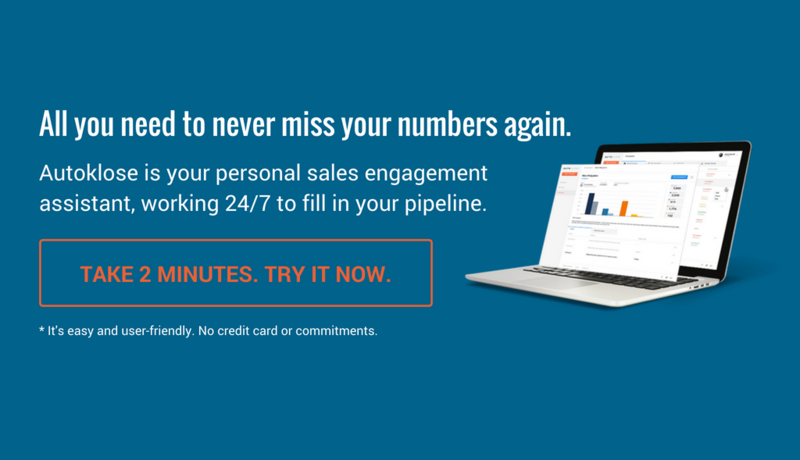 By introducing lead scoring, you’ll be able to significantly accelerate your sales cycle. Namely, whenever you have a new lead, run a detailed evaluation process. This means that leads which show a serious interest in your product or service has great potential. There are different ways to establish this – they spent a significant amount of time on your website reading about features and functionalities of your product, they visited your pricing page, and they keep coming back. Still, the fact that someone reads your content, or has applied to your webinar doesn’t automatically make them a likely customer. Monitor their engagement, and if they leave comments or ask questions during the webinar, then you can say that they’re qualified leads. Are they decision-makers who can actually put a signature on your deal? Do they have an immediate need for your product or service? If the answer to all these questions is “yes”, then you can be sure that your lead is ready to enter your CRM. Sales reps need to be trained to qualify leads before they add them to the pipeline. It’s true that such a pipeline will seem emptier, but, it’s quality and not quantity that you should be after. As a result, our sales reps won’t waste their time and energy on prospects that will never convert. There are countless automation platforms that can make it easier for sales reps to research their prospects, compile data, as well as analyze and organize it, thus leaving them enough time to concentrate on more complex and creative tasks such as building deep relationships with prospects. 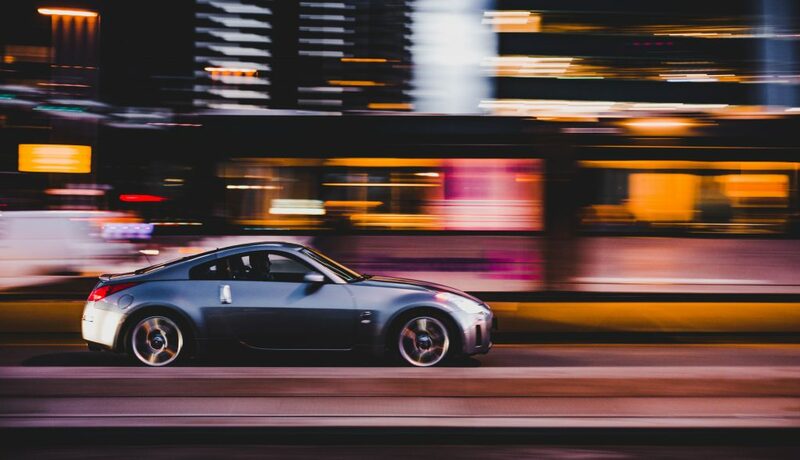 Autoklose provides you with numerous automation benefits, and it can significantly reduce the time you spend prospecting, creating email campaigns, and following up with your prospects, among many other things. It also makes sure that your communication with your prospects is highly personalized. In addition to all that, the fact that it’s backed up by machine learning means that you’ll be able to qualify your leads more easily and identify when they’re sales ready. Many sales reps deliver uniform, one-size-fits-all pitches without taking a minute to understand their prospect’s situation. This is something that can jeopardize the whole sales process, and prevent them from getting relevant information that would enable them to craft and fine-tune their offer and win the prospect over. In other words, it’s crucial to actively listen to your prospects, hear their objections and complaints, and identify what’s behind them. A couple of questions more and you’ll reach the holy grail of successful selling – your prospect’s true pain points and needs. When you don’t jump to conclusions and when you’re willing to engage in a serious conversation with your prospect, you can unearth information that you can turn into an opportunity to help them and sell your product. It can’t be denied that talking about the price of your product or service is unpleasant. Many sales reps actually dread the moment when they have to break the news to their prospects, and they tend to put it off until later stages of the sales process. They believe that after they show all the benefits of their product and how useful it is, their prospects won’t mind paying for it. This is a common mistake, and instead of trying to sugarcoat the pill, you should be straightforward from the very beginning and let your prospect know what the price is as well as what they can expect to get for it. By being transparent from early on, you build loyalty with your prospects and also avoid awkward situations such as the one in which your prospect tries to lower your price, or even worse, change their mind at the last moment. There’s no better way to nudge your qualified leads towards closing, than allowing them to sign a contract with you from any device. Nowadays when everybody has a smartphone or a tablet, one simple click is enough to put a signature on a contract and seal a deal. Don’t forget how people aren’t enthusiastic to sign up for something they’re interested in if the registration process is complex and if it requires filling out too many fields. This is a similar situation, so keep pace with the latest technologies and respect your prospects’ time and preferences. The abundance of sales and marketing channels is a good thing as you can reach out to your prospects in a number of different ways. But, at the same time, it can also lead to dissipation of your time and energy on channels that aren’t cost-effective and efficient, which, in turn, prolongs your sales cycle. By identifying the best-performing channels, you’ll be able to focus on them and eliminate the ones which don’t bring you any results. It’s important to track the channel on a regular basis because the fact that it works like clockwork at one point doesn’t mean that it will always be like that. Good leaders coach and educate their sales reps. But, many sales managers have a wrong idea about what coaching is. It’s not enough to have a 5-minute stand-up meeting in the hall. If you really want to shorten your sales cycle, you need to sit down with your sales reps, go through CRM reports with them, and make a detailed plan for every step of the sales process for every lead in the pipeline. It’s true that this is a challenging and comprehensive task, but it’s necessary if you want to create a killer team. Motivational speeches and uplifting messages don’t work when it comes to this. Closing is a process and it doesn’t happen overnight. In order to finalize it successfully, you first need to establish a series of small milestones and gradually complete each stage. This way your prospective buyer will make a number of smaller positive decisions, thus involving them deeper in the whole process. By getting them to say yes more than once for various little things, you’ll psychologically prepare them to make that final big commitment. For example, you can ask them if it’s ok to switch from emails to phone calls. After meeting them in person and showing them your demo, you can ask them to connect you with their procurement department. When it comes to your buyer’s concerns and reservations about your product or service, it’s better to hear them and deal with them as early as possible. Many sales reps think that any potential objections their prospective buyers have will disappear during the sales process, that is after they see all the benefits they can get. But this is a misconception. As a matter of fact, if you don’t address those issues, you’ll only create a snowball effect – they will only grow bigger over time, and you’ll have a problem to convince your buyers to make a purchase. The best approach is to directly ask your prospects whether there are any reasons why they would opt not to purchase your product. Besides getting a sincere answer, you’ll also benefit from this bold tactic in the sense that you’ll come off as being confident regarding your product and its fit. Moreover, your prospects will be more engaged because they’ll understand that you’re genuinely interested in solving their issues. All people are more likely to believe their peers’ opinions than whatever a company representative is telling them. That’s why you need to give your prospects case studies. It’s extremely important for them to see how your product works for those who bought it. If you work with companies from different industries, make sure to create a case study for each one of them so that you can provide your prospects with the one relevant to their situation. Another good idea is to host a meet-up and invite both your existing customer and your prospective buyers. This will give them the opportunity to hear more about your product from people who are satisfied with it, and that’s more effective than any pitch you can come up with. When your prospect receives an email from you, or when they visit your website, it’s of critical importance to enable them to book a meeting with you without having to spend more than a couple of seconds for that. Don’t slow down the process by forcing them to ask you when you’re available and wait for your message. Autoklose allows you to integrate your calendar in your emails so that your prospects can access it and book a meeting when it suits them. The whole procedure consists of a couple of clicks, and this simplicity is a surefire way to have your calendar fully booked. Needless to say, this eliminates potential scheduling conflicts and reduces the time your prospects spend making an appointment.